Chia seeds really is a food you should be eating daily. It’s a food that can be incorporated into your daily meals without changing the flavor but boosting the health benefits of each meal. 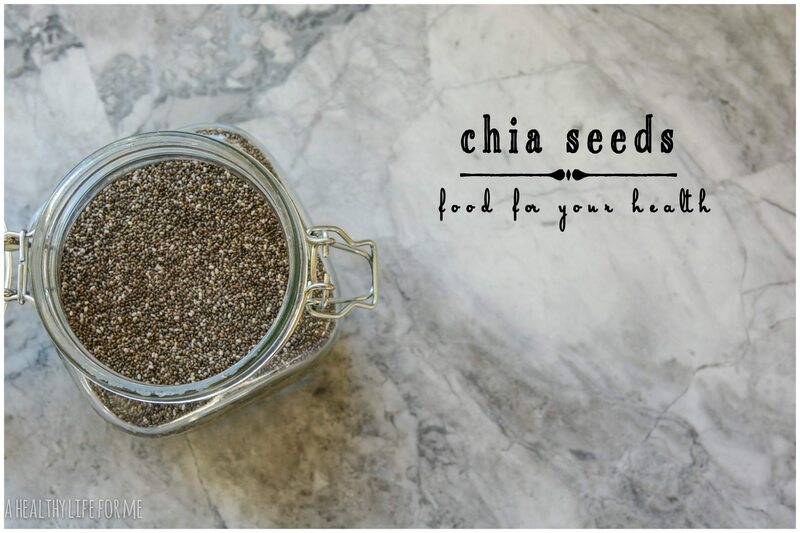 I keep a jar of chia seeds on the kitchen counter so it’s always an easy reach away to add to a recipe. I add it to my morning cereal, to every salad, my smoothies, yogurt, on top of steamed or grilled vegetables, I toss it in my quinoa, or pasta. A favorite treat is toast, peanut butter with a sprinkle of chia seeds. 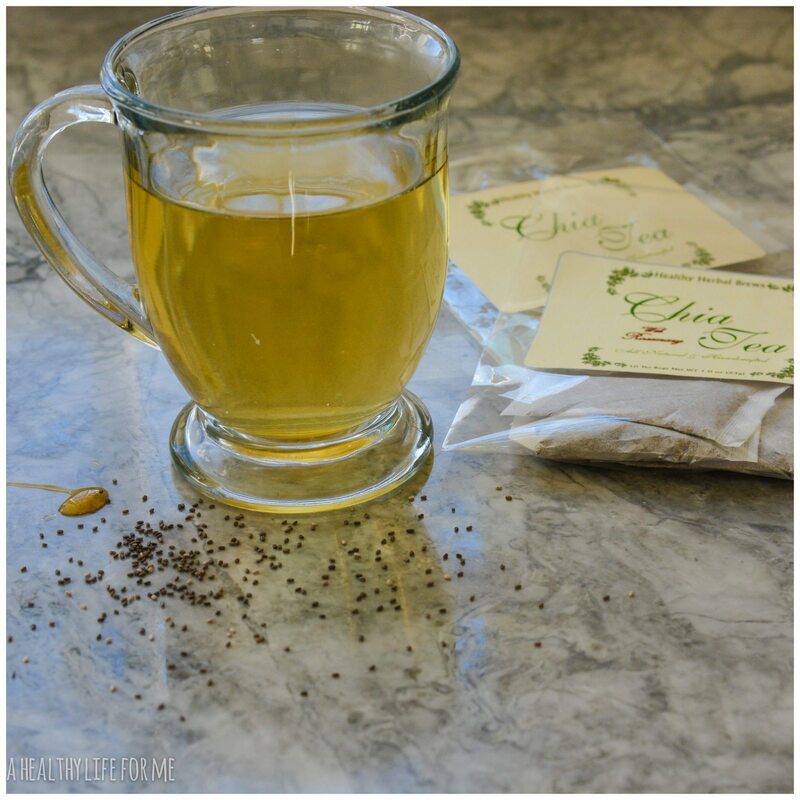 My newest and greatest way to get Chia into my diet is through Chia Tea. This tea is a new product offered by Healthy Herbal Brews. It’s a great tasting tea, it is decaffeinated I like to enjoy it after dinner, but is perfect anytime. A little drizzle of honey and you have the perfect cup of tea. Chia Seeds are being studied as a potential natural treatment for type-2 diabetes because of its ability to slow down digestion. The gelatinous coating of chia seeds develops when exposed to liquids-can also prevent blood sugar spikes. When a chia seed is exposed to the acid in your stomach the gelatinous coating is released. They can also help your diet by making you feel full. This is because they absorb 10 times their weight in water, forming a bulky gel. Chia Seeds stabilizing effect on blood sugar also fights insulin resistance, which can be tied to an increase in belly fat, according to Live Strong. This type of resistance can also be harmful for your overall health. According to the Cleveland Clinic, Chia Seeds have been shown to improve blood pressure in diabetics, and may also increase healthy cholesterol while lowering total, LDL, and triglyceride cholesterol. Whether you are a diabetic or not, the health benefits are extensive. Just one ounce serving of Chia Seeds has 11 grams of dietary fiber which is about a third of the recommended daily intake for adults. Adding Chia Seeds to your diet is an easy way to make sure you’re getting a good amount of fiber, which is important for digestive health and helps to make you feel fuller, so you eat less. They reduce food cravings by preventing some of the food that you eat from getting absorbed into your system. This blockage of calorie absorption makes them a great diet helper. I just got up as I was reading this and added chia seeds to my breakfast and ordered all three teas online! Never knew how good it was for you. How awesome Cheryl. I like to have the tea after dinner, to help with digestion. I am sure you will love! I’ve just started making a pudding with chia seeds. The base can be anything from coconut milk to chai tea (my favorite). Simply season the base to taste delicious, add a heaping 1/3 cup of chia seeds to every quart, let sit for a few hours to overnight and voila! It’s delicious. An odd texture, but delicious. I just got my order.they are all delicious. My fave is the chia clove.